Munich/Garmisch-Partenkirchen. The 18th BMW Motorrad Days takes place from 6 to 8 July 2018 in Garmisch-Partenkirchen at the foot of the Zugspitze mountain. The event organisers are expecting some 40,000 motorcyclists from all over the world to attend this year. Lasting three days, the gathering at the Hausberg will once again be dedicated entirely to the international BMW Motorrad fan community and riding fun on two wheels. The entrance is free. In addition to numerous new products, thrilling stunts, celebrities and test ride campaigns, guests can particularly look forward to the now legendary party atmosphere with live music. Whether young or old, the three-day program of activities is so diverse that everyone’s taste is catered for – leaving no room for boredom. Party time, celebrities and high spirits at the Hausberg. The BMW Motorrad Days has long been established as a must for motorcycle fans from all over the world. 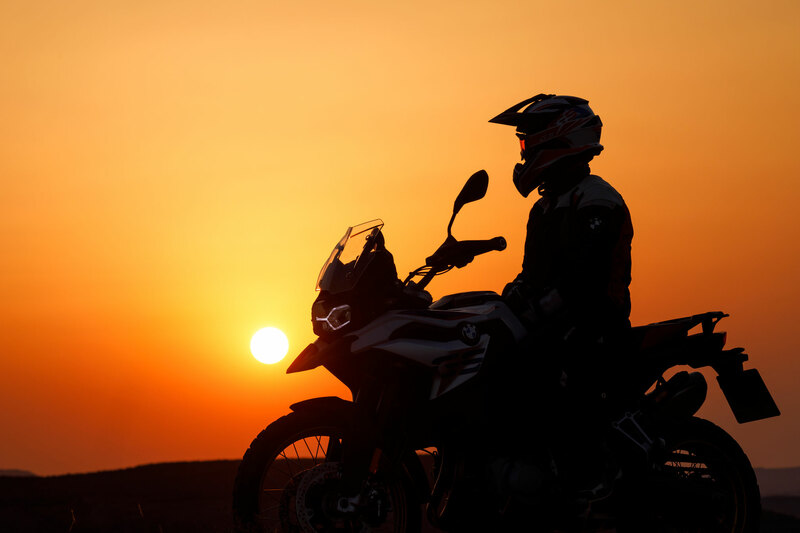 Whether from the USA, Japan or Australia, whether sports or touring riders, enduro enthusiasts or customising fans – with such a diversified motorcycle-related programme, beer gardens to enjoy during the day and lots of parties with live music in the evening, everyone will find their own favourite way to enjoy hours of fun. In attendance at the event again this year: actor Hannes Jaenicke along with singer and RR fan Wincent Weiss. Spectacular stunts, customising and action pure. The stunt performances go to the very limits of riding physics – such as the BMW Drift Show with Ritzmann Motorsport or the demonstrations by freestyle artists Mattie Griffin and Dirk Manderbach. Meanwhile visitors can marvel at the decades-old tradition of wall-of-death riding in the Original Motodrom – the oldest wall of death in the world. Here, Donald and his team do their rounds over the wooden boards on historical motorcycles in breathtaking style. Friends of customising and converted motorcycles will find just what they’re looking for at the Custom Village, where individual machines can be inspected in detail at close quarters – to the accompaniment of great live music in the evening. The BMW Motorrad Days also offers the chance to discover one of Germany’s most magnificent landscapes on a motorcycle. There are organised whole-day or half-day tours in the Zugspitze region around Garmisch-Partenkirchen as well as panorama tours accompanied by guides who are familiar with the area. 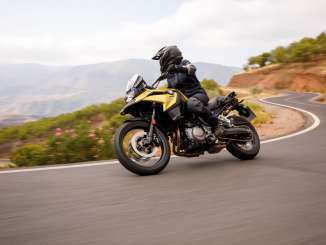 Once again this year there is also a wide selection of current BMW motorcycle models available for test rides on site. Off-road and enduro riding directly on the event grounds. Both off-road newcomers and ambitious enduro riders can explore fascinating terrain on the off-road track at the foot of the Hausberg. Under the guidance of professional instructors, visitors can find out just what the BMW GS models are capable of away from asphalted roads. Trade show and exhibition area as well as a play area for the little ones. The extensive trade show and exhibition area reflects the full diversity of BMW Motorrad. In addition to numerous product presentations, visitors will also find some fascinating surprises here – not least the BMW Motorrad Concept 9cento. Some 80 exhibitors will be on site, offering advice as well as presenting new ideas and accessories. Young guests are excellently catered for as well: the play area is packed with fun, hands-on games, while a specially created Kid’s Track and Kid’s Try-Out Trial Program ensure that the motorcyclists of the future can enjoy an exciting, action-packed weekend. Meanwhile the numerous football fans can be sure not to miss the live broadcasts from Russia. Intensive shop talk with the BMW Motorrad experts. At the big BMW Motorrad Exhibition Pavilion, visitors have the chance to engage in a detailed chat with BMW Motorrad developers, engineers and test riders as well as getting a behind-the-scenes glimpse of the BMW Motorrad development department. What is more, “Meet the mechanic” at the BMW Motorrad Classic Tent gives visitors the opportunity to relive the more than 90-year history of BMW Motorrad. Meanwhile motorcycling globetrotter and photographer Michael Martin provides fascinating entertainment with his almost legendary talks at the BMW Motorrad Cinema. Live music, party time – and with a little luck maybe even a new motorbike. But in addition to the action, fun and entertainment, the BMW Motorrad Days is always about enjoying the fun of a party in true Bavarian style. As usual, admission is free and the entire set-up is perfect. The highlights are the evenings in the big beer tent where party heroes Gerry & Gary ensure a thumping atmosphere on the Saturday – this is where even the quietest visitors end up joining in the singing and dancing. For anyone who wishes to stay overnight directly on site, the campsite in the nearby field offers pitches for EUR 12. Last but not least, the sale of event pins gives visitors the chance to win two brand new BMW motorcycles – a BMW F 850 GS and a BMW R nineT Racer with special features.